Seems like a great price for an Iso-fix group 1/2/3 from a well reviewed and respected make. Ordered does this tilt by the way and does it have top fastening? Excellent price still £180 on amazon! Great post - thanks op! Managed to grab 3x this morning, cheers. Under fours are safer rear facing as long as possible however yes you can legally use it for under fours / next year. The new regulations are based on height not weight. 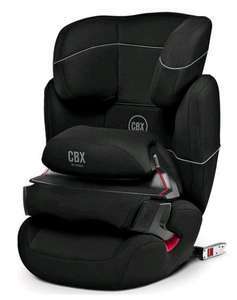 It's a great option if your child is under 18kg but not mature enough to be trusted to stay in a booster seat the seat as the impact shield across the front holds them in. We had a similar one when he got too big for the group 1 seat at around age 3.